The Variscan Orogeny – Its impact on the rocks and landscape of the south west of the British Isles. Last night Alan Holiday, a well known field geologist from the South Coast of England gave a thorough review of the multiple impacts over time and the region of this major geological event. He had a great range of images of the wonderful range of folds and structures to be seen, predominantly along the coastlines of South West England, Pembrokeshire and even South West Ireland. All his images seems to have been taken in good weather, so different to what was happening outside the Royal Cambrian Academy last night. Bringing the topic right up to date with some new research published this summer from the University of Plymouth regarding a new set of geochemistry data of the rocks implying that parts of Southern Devon were part of another continental mass called Armorica coming from the South. 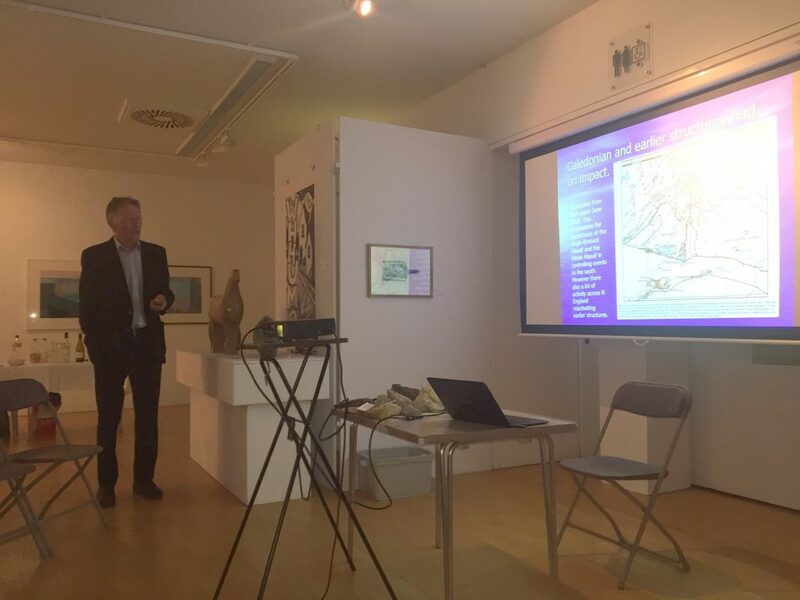 One aspect that made Alan’s talk so interesting was that he had hauled a significant collection of rock samples related to the region with him and at the end of the presentation many of the delegates surrounded Alan’s table to pick up the rock, examine them and ask questions. 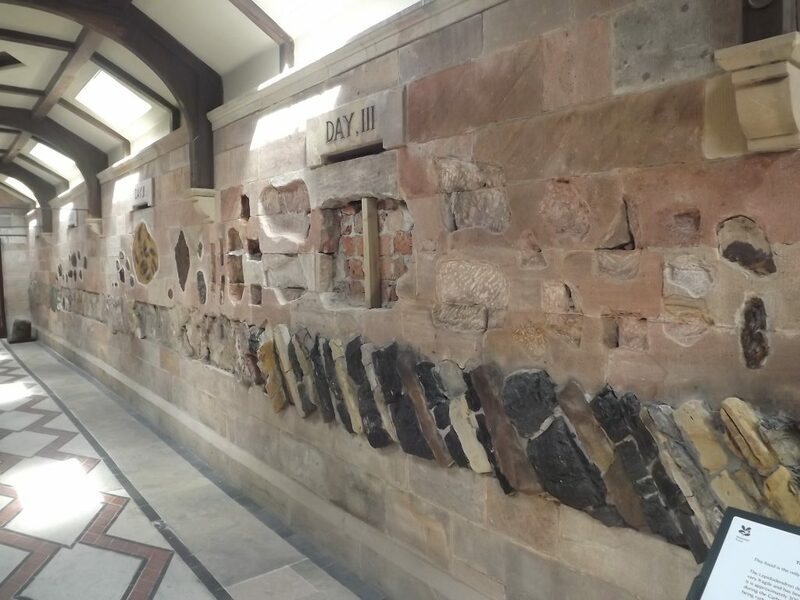 Finally Alan explained that he has a project to help and support the renovation of a old geological gallery at Biddulph Grange in Staffordshire – Details HERE where Alan is trying to help source large 20-30kg pieces of the representative ages of geology. The original idea by the designed was to relate geological knowledge as it was in the 1840s to the biblical idea of the creation over the 6 days. The image shows the gallery of rocks so far, with spaces yet to be filled.